Classic football photo. Alsmost empty stand inside the ground, but full building just outside. These spectators arent idiots. They wont to pay if they dont have to. 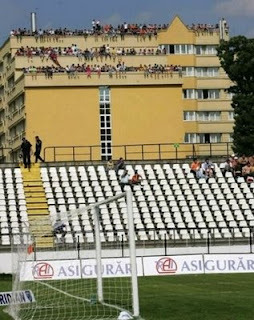 I think the football ground's only solution is to build a baricade or wall as tall as the building. Not going to happen!